Del Valle, TX Violin Lessons Near Me | Fun Classes. Top Tutors. Check out some of our most popular teachers near Del Valle, TX including Austin, Round Rock, Cedar Park, Pflugerville and Leander. The violin is easily recognizable and very popular. 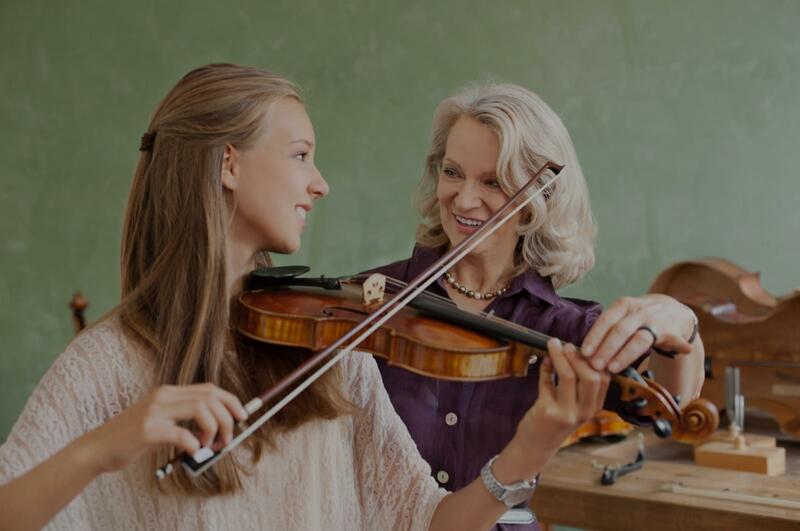 Violin lessons include theory, technique, repertoire, and more. We'll work together to design a lesson plan that works for you and your learning style. I began my musical journey with a recorder at the age of 3, and grew from there. I tried out several instruments, including French horn and piano, before finding the violin, and later the viola. In 2018, I moved with my family from California to Texas, and found even more of what I love: music! Fort Worth is a music-loving area, and I'm happy to be here. I began teaching began by accident when my twins entered a TK program. Their teacher asked for help with music - how could I turn down that request? I successfully wrote and taught the music program that I used for K-2 grade students at that school, and now teach violin and viola to beginner through intermediate students, advanced for viola. I specialize in working with younger children, but love teaching kids of all ages (even adults!). ving. I believe that music should always be fun, even when it's hard. I help foster a lifetime love of music, and work with him/her to design a custom program just for them. I'm classically trained, but love all music, especially baroque, renaissance and Celtic styles. Medieval and renaissance music has a special place in my heart because I spent several years playing it as part of a string quartet. I am available for online lessons all over the world, and I'm happy to record them so you can review them all week long. A typical lesson consists of checking student's progress, addressing any immediate issues, and developing technique/knowledge. * Reading music consistently at a level appropriate to their progress. * Developing an understanding of rhythm and meter. * Placing their fingers properly for the most part. * Developing correct posture and holding their instrument and bow in a relaxed manner that suits their body type and facilitates the freedom of movement required for making great music. I specialize in working with kids of all ages - from 5 to 95! I Love my lessons with Ms. Gail! She makes the lesson fun and is always encouraging me to step out of my comfort zone and try an exercise before a scheduled lesson. I would highly recommend Ms. Gail! Gail is a terrific instructor. She constantly recognizes your successes (however big or small ) and challenges you to do better. She has an amazing ability to know when you need to take a different approach to your music. Every musician or student is different and she adapts her techniques to variety of levels of learning. A truly good instructor that can get into a student's head & help direct them to where they need to be, in terms of style & performance. She will get you on the correct path & take you to a higher level. I teach all levels of students. My specialty is beginner and intermediate level of students and children. I am a Colorado Native with a Music Degree from the University of Denver. I started playing the violin in elementary school and never stopped! I picked up the Viola in college. I enjoy playing that as well. I have been teaching group classes for the Cherry Creek School district for over 10 years and love that. I have been teaching private lessons for over 10 years as well. Both are challenging in very different ways. I enjoy watching my students learn and grow through music. I love playing with an orchestra and playing with a quartet. I've played with several different local groups over the years. You can expect that I will ask a bunch of questions at the beginning of your lessons, and I will try a bunch of things at first. And then will make a decision based on what I think will be the best fit. I like to utilize what technology has to offer, and I have a keyboard and a computer available at every lesson. I use them for ear training and listening activities. I like to make sure that music is fun, however I will expect that students are doing the work at home, so at home practice is expected. Living room w/ violin, piano, keyboard, music stands, and seating for parents. Please note that I do have a dog in the home, please let me know if you have allergies. I teach beginning and intermediate violin. I teach a classic style. My daughter, Katie, started her first violin lessons this year with Lisa. I wasn't sure if she was going to enjoy playing the violin as she is only 6 yrs old and pretty lively (hard to keep her still! ), but Katie loved Lisa from the start. Lisa is friendly, patient, and easy going with Katie. Within a couple of months, Katie was already practicing her second song and sight reading her music. Lisa is a great violin teacher! Lisa is so patient with my active 5 yr old. She keeps my daughter interested in coming back! Lisa is very patient! My son is a typical 8 yr old boy with lots of energy and she is very good at keeping him focused. She is also very good at working on 1 thing at a time and not overwhelming students with no music experience. I would recommend her to anyone interested in learning violin. Students of all ages and levels welcome! Teaching experience of eight years from all corners of the world! Higher School Certificate Music Extension course. In 2008 Ms. L. won the Werner Baer Memorial Award and the audience prize in the Cochem International Piano Summer Festival in Germany. Most recently, Leanna participated at the Banff International Piano Master-Classes in Canada last year. Ms. L. studied with Margaret Hair in Australia and has made several appearances performing in the United States, Canada, Germany, Asia and Russia. She has also performed in master classes for Marc Durand, Gary Graffman, Robert Levin, Susan Starr, Jacques Rouvier, Richard Raymond and Sarkis Baltaian. Previously, Leanna attained a Bachelor of Music at The Colburn School Conservatory of Music in Los Angeles, California, where she studied with John Perry. At The Colburn School, she was selected to be a Teaching Fellow through which she had several young private students. She was also selected as a Teaching Assistant at Boston University, where she is pursued her Masters of Music Degree at Boston University with Professor Boaz Sharon. Currently, she is studying with Professor Anton Nel at the University of Texas, Austin, as a part of her Doctorate of Musical Arts. She is working alongside Professor Gilmson as part of the Piano Project and Teaching Assistantship at the Butler School of Music. 3 lessons in and I've learned so much! Leanna is a great teacher. Great piano teacher. Lots of good feedback on technique and beginner friendly! Before switching to primarily playing viola, I trained and performed as a violinist for ten years and graduated from the Suzuki Violin Method. I now play violin as my secondary instrument. Grace is an awesome teacher! My son has special needs and she customized her lessons each week by following his lead. I highly recommend her as a teacher. I have a big experience teaching students all levels and ages. My goal is to keep the joy of music making for each and every student, but also to make sure you learn and advance after each lesson. I would happily work with you on the music you want, combining it with the specific violin techniques you need to have in order to play the instrument well. I have been teaching violin from young children to beginner adults for 10 years. I also teach piano for beginner and intermediate levels. succeed, when after each lesson you feel that you improved your playing and gained new skills, even if its a small one. Lessons are taught using a Traditional method refer to students learning to read music. Whereas the Suzuki Method students learn by ear which I (might) use for very young students age 3-5. For older students I use certain aspects of the Suzuki method but definitely incorporate basic theory and note reading as early as possible. All students will have the opportunity and are encouraged to perform in recitals. AVAILABILITY: The calendar here is not up-to-date and still on a summer schedule. I mostly teach M-Th (depending on my schedule Fr and Sat are possible). Lessons are scheduled on an individual basis based on my schedule and student's availability.Please send me a message what days/times you are looking for, and I'll get back to you. Thanks! Great violin instructor. She is very patient and persistent in helping to achieve the next level in mastering the violin. Kseniya is patient, but also pushes my daughter to actually learn how to read music. I'm very pleased after 3 lessons. My son is 11 and never had a music lesson of any kind before. He had fun learning the basic fundamentals that she is so passionate about. She is really patient and fun to be around. Great environment for anyone of any age. Jina (Dain) is an actual violin performer in the society, known as an responsible and reliable violin player. She insists to develop herself, believing that’s the best way to be a good teacher in a short and long term. She is a professional and experienced violin instructor. She teaches more than violin playing skill: musicianship, attitude, musical philosophy, and other musical reflections. Fun, friendly, and nice, but clear. Her honest will lead you towards the right and fun learning process of your life. Home visiting (Sacramento, Rancho Cordova, Folsom, Elk grove, Fair oaks, Orangevale), studio lesson and online lesson are available. Feel free to contact for more information. Jina is a violinist in the society, known as a responsible and reliable violin performer. She insists to keep developing herself, believing that’s the best way to be a good teacher in a short and long term. She is a professional and experienced violin instructor, teaching more than violin playing skills: musicianship, meditation, attitude, musical philosophy, and other musical reflections. Fun, friendly, and nice, but clear. Her honesty will lead you towards the right, fast and fun learning process of your life. Every student has an idea of what music represents to them. I’m simply the tool to add knowledge and support on your musical journey. I teach to your individual needs as a student and find the best style that works for you. I am also a passionate, performing musician and lifelong learner with the goal to teach students not just how to play an instrument, but how to become better people in the process. Playing the violin and viola involves mindfulness and concentration, patience and hard work, and I love helping you, as the student, through this musical experience. Hello! I'd like to invite you to ask me questions and get to know me before choosing to take violin lessons. My teaching technique involves a holistic view of music and knowledge. I teach according to your individual needs as a student and find the best style that works for you. Every lesson is powerful, engaging, and has a purpose to help you meet your goals. I am constantly working to make sure that you are making the kind of progress that you want with the violin and viola. Playing an instrument involves mindfulness and concentration, patience and hard work and I love helping the student through their personal musical journey. Can't find a teacher in Del Valle, TX? "I started violin lessons with Leanna in May and I must say she is an awesome teacher. Lessons are great and I am actually learning how to play the violin! I can not think of a time when she was harsh or impatient, seeing that I complete beginner. She is pleasant and encouraging. I was late for one of she class and she was so understandable"
Austin, TX teacher: Leanna L.
Austin, TX teacher: Abigail S.
always leave encouraged and motivated." a great teacher for you!" "Excellent Lessons. Have really learned a lot of great things about proper posture and such in just a few lessons"
"Very patient with me (and lots of positive feedback). I thoroughly enjoyed my lesson!" "Student says: "Mr. D. does a good job of explaining and demonstrating. Violin lessons are fun."" Budgeting for Violin Lessons: How Much Do Violins Cost for Kids?